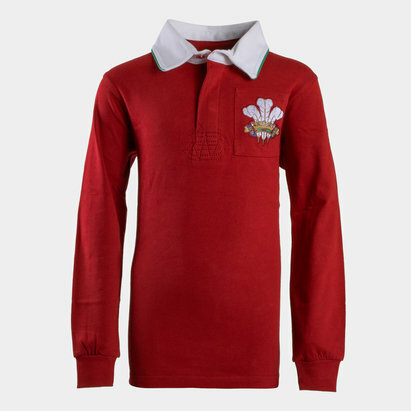 Show your passion and pride for the Prince of Wales Feathers with this Wales 2019/20 Vintage Rugby Shirt from VX-3. Our international rugby team Wales compete annually in the Six Nations Championship competition as well as the Rugby World Cup every four years. Wales have won the Six Nations and its predecessors 26 times outright. Wales' most recent championship win came in 2013. Wales played in the inaugural Rugby World Cup in 1987 where they achieved their best ever result of third. As of June 2018 the Welsh are 4th in the World Rugby rakings. This look needs no introduction as it comes in a red with a white collar. The Welsh Prine of Wales feathers are stitched aside the buttoned neckline with the word CYMRU stitched under the collar. 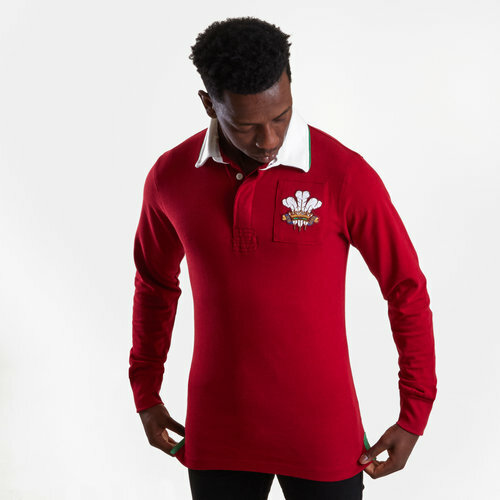 Cheer on Wales in the 6 Nations and at the 2019 Rugby World Cup with this polo.